One of the major issue investors are facing are not taxes on real estate but the confusion around it. 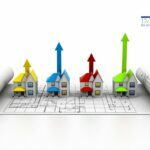 In this article we will try to understand how capital gains tax on property (CGT) is calculated. This will clear a lot of misunderstandings and rumors spread in the market. For the sake of ease we will be dividing this article in three sections . What is Capital gains tax on property . 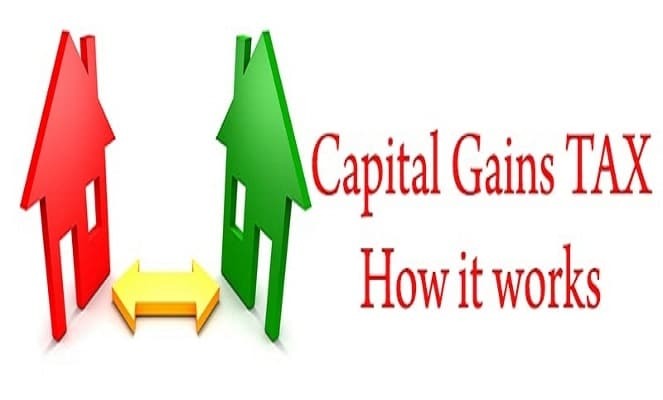 How Capital gains Tax on property is calculated with examples. 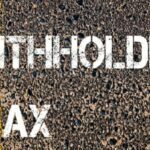 How to avoid Capital gains tax on property investment. This is not payable on the complete price of the commodity you have sold but only on the profits you have made. Capital gains tax on property (CGT) is paid on the difference between your buying price and your selling price. Capital gains tax is only applicable on the seller . Purchaser do not pay any Capital gains tax. Capital gains tax on property (CGT) was also levied in the previous year at 10 % . 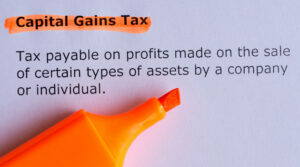 Capital gains tax is to be deposited at the time of your annual tax returns. CGT is incurred only on the profits you make . Misc costs such as taxes and commissions are excluded from the taxable profit. As per the new law , it will be levied at following rates on property investments in Pakistan . 10% of profit you have made if you sell it in first year of your purchase. 7.5% of profit you have made if you sell it in second year of your purchase. 5% of profit you have made if you sell it in third year of your purchase. 0% of profit you have made if you sell it in fourth year of your purchase. 5% flat rate on profit for all properties purchased before 1st July 2016 if they are sold within 3 years of there purchase. For army officers benefit plot and plots for dependents of Shahuda the CGT is 0%. CGT on Government welfare plots will be levied at 50% of the normal percentage. 5% in first year , 3.7% in the 2nd year and 2.5% in the 3rd year. Section 2 : How Capital gains Tax on property is calculated with examples. Capital gains tax can be calculated using 2 methods . You declare the actual price of purchase and sale and deposit the Capital gains tax on property on actual profits you have made. Note: The 3rd year “sold in” row is applicable to all sellers who have purchased the plot before 1st July 2016. You are paying the taxes as a responsible citizen and helping to rebuild your country. All your money is white and declared. Let us suppose that you have purchased a plot in DHA Phase 8 and declared its old DC value . Now if you sell it , you can declare that you have sold it as per the FBR value. You will pay CGT at 5% flat rate if you sell it within 3 years. However for this calculation you must have purchased the plot before 1st July 2016. Regardless of actual price you have purchased for or sold for the CGT will be as under. You pay much less tax. Economy of Pakistan suffers because you have not paid the taxes due. You only have 6300000 as white money. The remaining money you have is considered Black and you can be charged legally by FBR. In case you have purchased a plot in DHA Phase 8 after 1st July 2016 and declared its new FBR value . Now if you sell it , you can declare that you have sold it as per the latest FBR value applicable in that year. You will pay CGT at 10% , 7.5% and 5% respectively for selling it in 1st , 2nd and 3rd years. The catch here is that there is no change in FBR Value in the same financial year . If you sell it in the same financial year technically you do not have to pay any Capital gains tax. However if you sell it another financial year and the FBR value has changed than you will pay CGT as follows. You pay very minimal tax. There are only two ways you can decrease or avoid Capital gains tax . By not showing any profits as explained in method no 2 and method no 3. This will certainly save you from giving huge amount in Capital gains tax. However you are cheating and liable to punishment as per the law of Pakistan. Moreover the extra money you are left with is illegally acquired black money. Simply sell your property after 3 years and you do not have to pay any CGT. This way you can declare your entire sale price as white money without paying any CGT. Hurrah 🙂 i hope we have finally broken the myth of the Capital gains tax . One of the evil genie which is bothering so many real estate investors in Pakistan. Stay tuned because soon we will be breaking myth about the scary withholding tax. If you still want to know more about Capital Gains Tax and need opinion by other experts join us on our discussion forum. can we claim back capital gain tax ? As an employee? if yes, kindly mention conditions, and elaborate please. You can only claim CGT back if you have deposited more tax than your actual income. I will suggest that you get in touch with a lawyer for the said purpose please. I was allotted a plot in DHA on 20 years installments. I have only paid one third of installments and havnot get the possession yet. How much its worth i need to mention in my tax return. You should mention the FBR value of the plot. If you allotment letter is less than 3 years old you will be charged CGT. I have sold a plot of Bahria town Karachi at 5,775,000 in April 2018 which i bought on amount 3,378,000 in May 2015. The FBR evaluation of plot is 2,125,000 and they have taken a tax under section 236 C is 21,250. I want to know how much CGT i have to pay and how should i file it in IRIS. I am a tax filer and documented this plot with the value of 2,850,000.
hello sir my question is what will be the gain tax on amount 2500000/= if we are tax filer 1% or 2% ? Are you talking about CGT on 25 Lacs profit or total value of property ? I am going to sell an inherited property which was transferred in our name. we have 6 brothers and 2 sisters in Tax Year 2018. Market value of property is 30 million. Would you please explain the implication of capital gain tax? Kindly use the Tax calculator to find out https://imlaak.com/property-tax-calculator/. Please guide me that how many taxes are admissible on purchasing 10Marla residential Plot. I am going to sell an inherited property which was transferred in my name in Tax Year 2017. Market value of property is 130 million. I bought a 4-marla residential plot in (rural) Rawalpindi. The price i actually paid for it is around 1.6 million, but the price mentioned on the registry is around 1 lac, as this is the government rate. I am an income tax return filer. Guide me as when filing this year’s return, what price should i mention in the return? The price i paid (1.6 million) or The price mentioned on Registry (1 lac)? You should mention the entire amount. Mention documented value in your return. Documented value is 1lac(Registered value). Assets are recorded in books on documented value and not on market anticipated value. I would like have one clarity if I buy a property for 10 lac & sell in 11 lac, profit is 1 lac & paid 10 thousand as cgt with in one year. So the one lac would also be included or not in taxable income for income tax calculation purpose if my income tax slab is 5 % so the 5 thousand would have to pay as income tax or not. Yes it is part of your income tax. Dear Irfan best is that you consult a tax lawyer for these matters, we can surely tell you about how much CGT is applicable but we are not tax experts. It will vary according to your location, you need to contact local authorities for the rates.